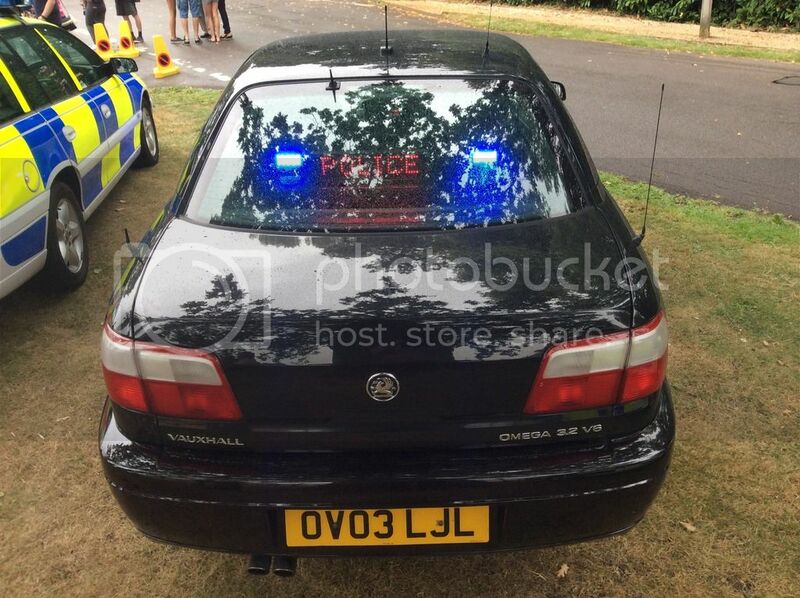 A little preface is necessary, this vehicle is currently fitted with operational blue lights/emergency equipment. Any sale will be dealt with very carefully, and adhering to various ACPO guidelines and rules. 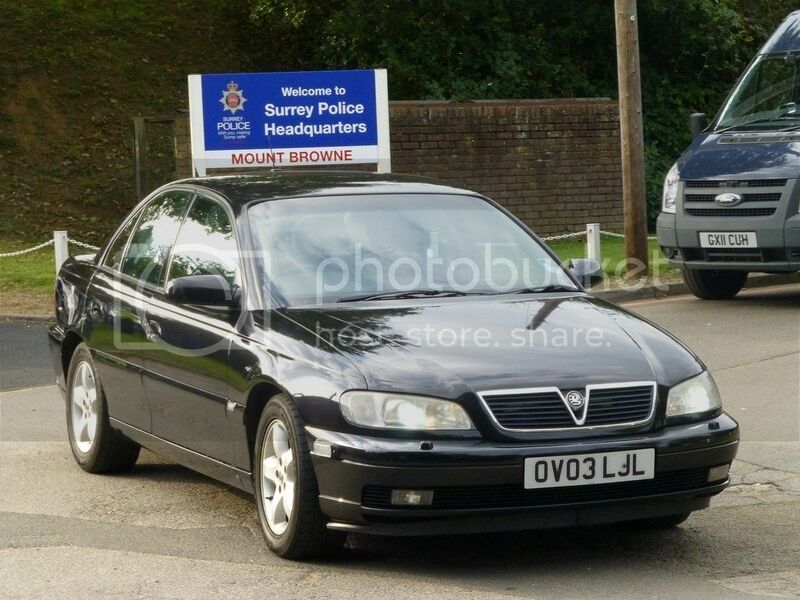 This vehicle can be offered without any police equipment, as a standard vehicle if desired. 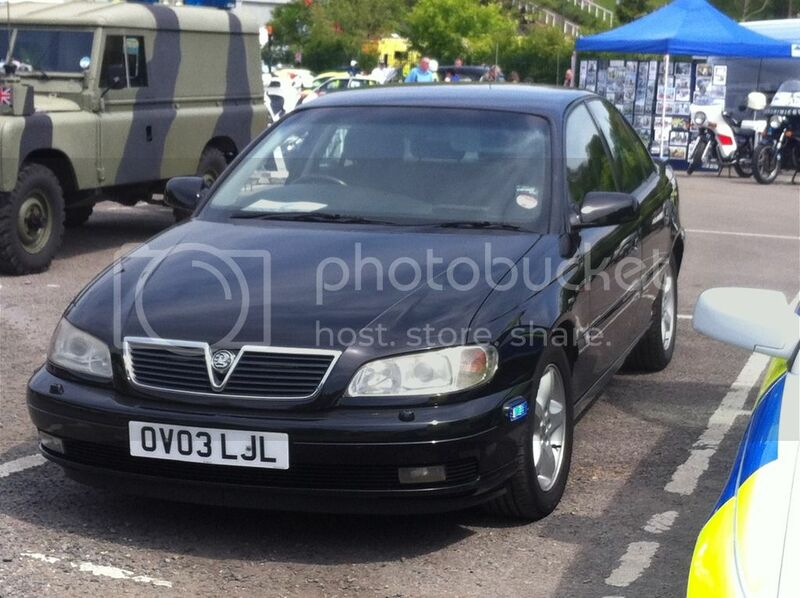 'OV03 LJL' is a Vauxhall Omega 3.2 V6 Special Manual saloon, presented in Black Sapphire Metallic (Z20R) with 'texas' grey cloth interior. It was registered on the 1st of May 2003 and has covered 140,021 miles from new. It was featured on Sky TV's Road Wars. When in service, it wore the ghost plates 'GM03 HYU'. Fuel card holder present with this registration. It was used by Rosie and Daz, in the mid to later RW episodes. 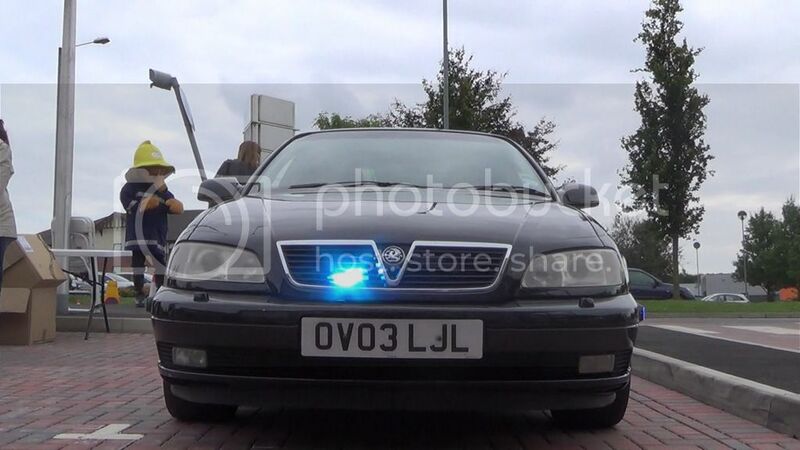 I acquired the vehicle directly from TVP in late 2010, I then sold it, and took it back in P/X in mid 2012. Over the past three years the vehicle has had a lot of money spent on it, restoring it back to as it was in service, alongside regular maintenance and improvements. Full police history to 115,000 miles. Sold at 115, came back in at 126,000 miles. Paintwork - Photo's of paintwork will be uploaded, but it had extensive paintwork. 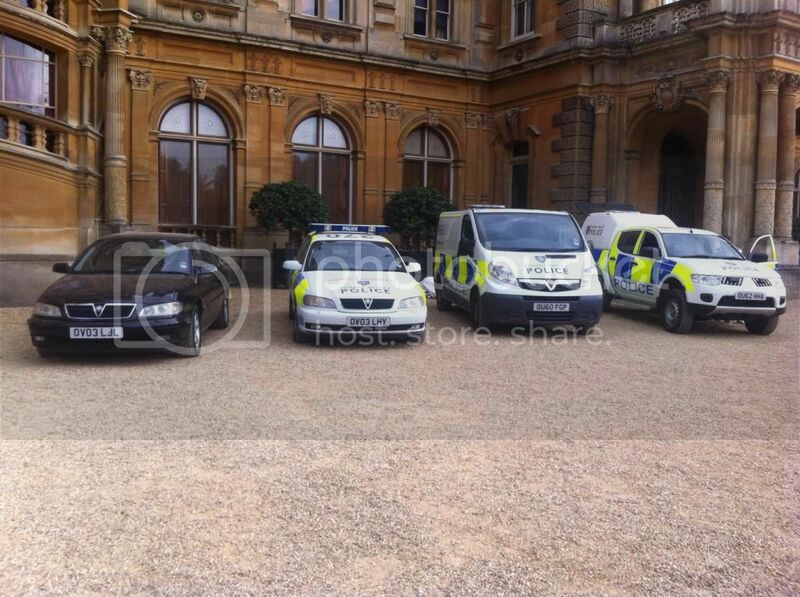 This vehicle has been displayed at numerous shows, so needed to look presentable. 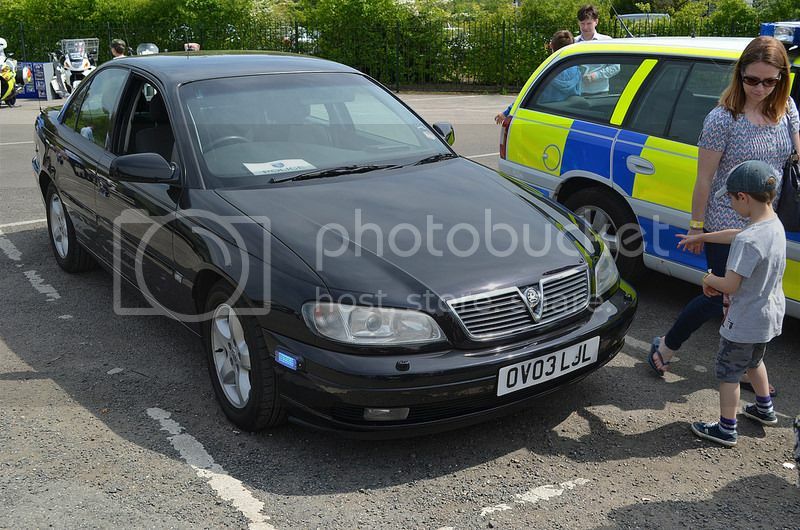 Generates enormous interest at shows, even more so than the marked police vehicle I have. This is to be replaced by a younger 2012 vehicle. Interior photo's will be uploaded tomorrow! 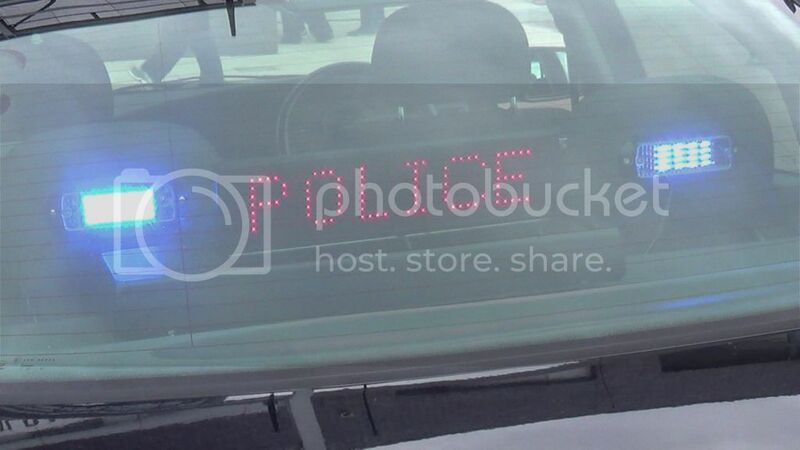 LED sign is worth approx £500 on its own, some of the prices are crazy! How much without the very-very-very-cool-but-can't-drive-it-on-the-road kit on it? Limited slip diff still present and correct I presume? I won't bore you too much with the legalities, but simply, when the fuse is removed for the control interface none of the emergency equip can be operated. This fuse lives in the boot, so can't be tampered with when driving. All lenses are clear, except the strobes behind the grill, but these can't be seen normally. So, it can be legally driven with fuses removed. Limited slip diff present, and fully working! Price for standard car, I guess would depend on if you wanted stuff just removed, leaving holes i.e. as a straight from service ex police car. Or holes filled, painted, interior trim replaced etc? I would ideally want to achieve £1,500. Spose..if nobody wants it then you can leave it on my driveway and I'll give it a good home.....and the good news is...that there will be absolutely no charge whatsoever to your good self, NOW.....look into my eyes,you are feeling sleepy and when you wake up your Omega will be gone and you will feel relaxed and happy knowing that your car is where it should be and that it too is very happy to be in a caring sharing home for old Omegas....session over!! Get your money out, you tight wad. You know you want it. Think about all the admiration you would get at Wycombe.